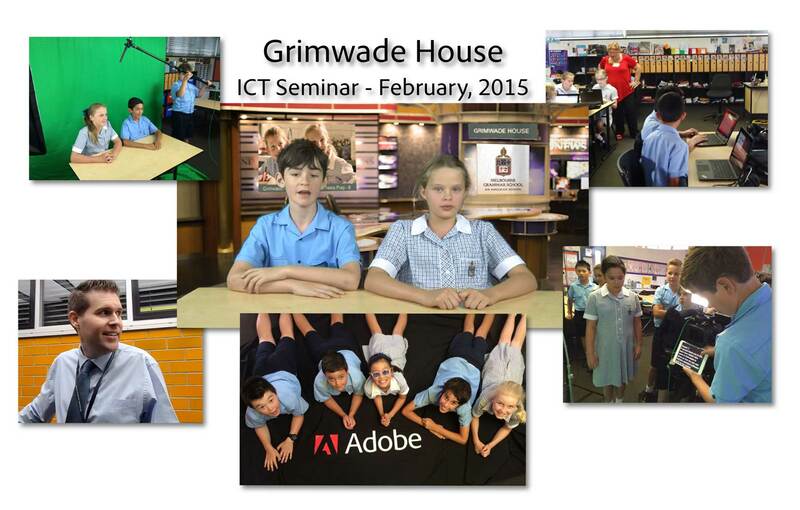 It was great to be involved with the 2015 Grimwade House Year 5 ICT Seminar last week. Each Year 5 student at Grimwade (Melbourne Grammar’s Co-educational Junior School) has their own laptop with the Adobe Creative Cloud installed. Each Year 5 student rotated through a range of ICT & cyber safety related workshops and presentations coordinated by Mr Matt Smith, Grimwade’s eLearning Coordinator. The Adobe products & topics included video production with Adobe Premier Pro, web design with Adobe Muse and desktop publishing with Adobe InDesign. Here are some comments about the event by Mr Matt Smith. I cannot thank you all enough for your contributions to the MGS Grimwade House – Year 5 ICT Conference. The students were thoroughly engaged and excited with your workshops and many have come back to the new school week with their own websites, games, movies, posters, FakeBook accounts and an awareness of what it means to be a respectful and responsible digital citizen.